For all those who are waiting for my next Travel Diary post, here it is! My Baler trip posts isn't done yet, guys! I know I wasn't able to go to every bit of what Baler has to offer; but I sure did not waste my time. Never mind the thirst, hunger and the heat of the sun. Baler is so worth it, believe me. 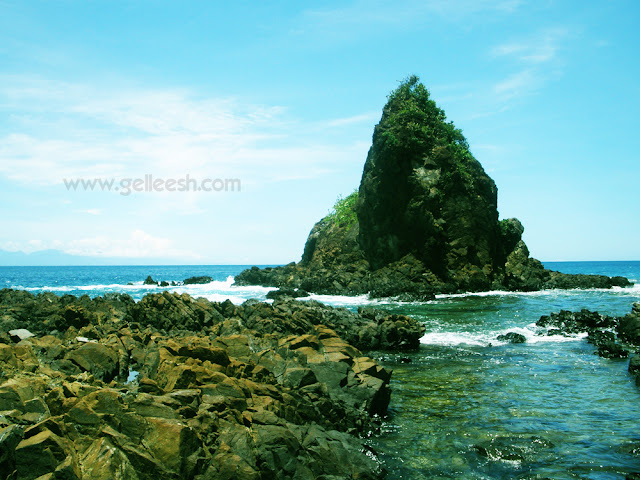 So for our next stop, Kuya Joseph took us to the Lukso-Lukso Islets or Digisit Beach. 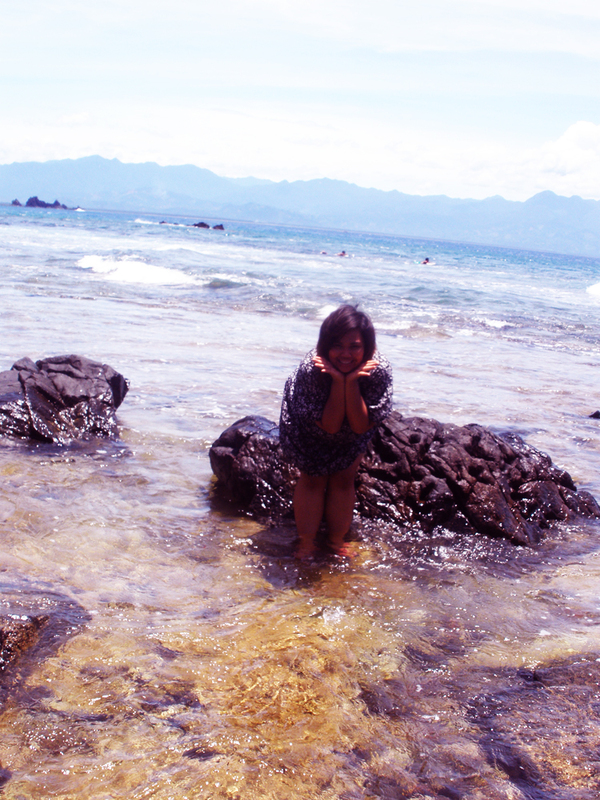 Baler is filled with awesome bitc... I mean beaches. Hahaha! 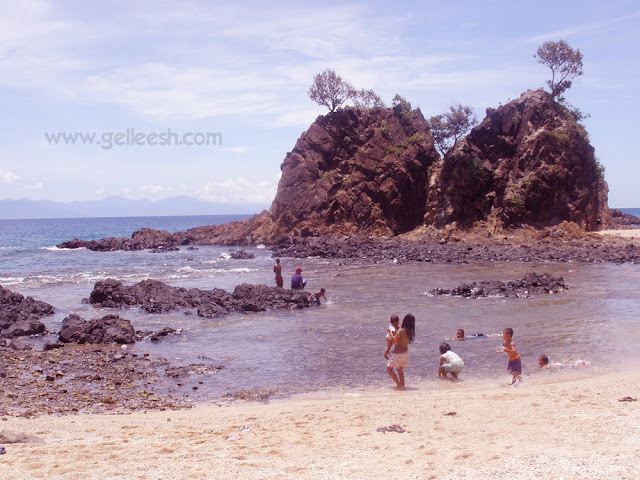 Upon getting to the beach, you need to pay up a P10 entrance fee to the care taker. Well, it isn't much since you'd really see how they're really taking care of the place. People were also surfing at this part of Baler. The waves are just too beautiful to resist. If only I know how to surf. It will definitely be one helluva awesome hobby, don't you think? Just a few more pounds to shed and I can finally have the confidence to surf. Wooh! Baler, I'm coming back for your waves! I loved the cold and fresh water touching my feet. There's this certain feeling in me that just relaxes my senses. If only I could stay there longer and just sit on top of the rock, dip my feet in the water, it would just be so awesome. However, there were times when my feet would actually slip off my flip flops and almost trip over; but thank God, I didn't. Haha! It was just so fun. When we visited the place there were actually quite a lot of people who are also enjoying the bright sun and cool water of the beach. This must really be quite a popular place even to the locals. 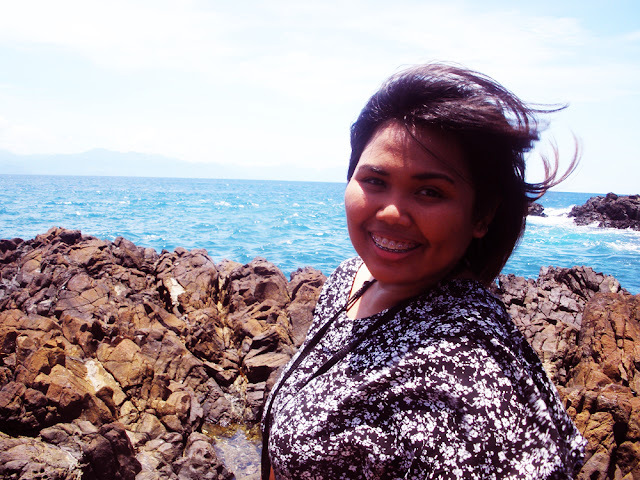 Kuya Joseph also took us to the rocky edge of the beach. It's actually where I got my only wound during the trip. Don't worry, it's not big and hindi siya abot sa bituka. Hahaha! I also found a dead crab. Nah. It's not an interesting sight. And the view at the rocky edge of the beach is more amazing. But to get to the best part or at the edge, you'd have to risk having a cut on your toes because of the pointy and sharp rocks you'd have to walk through and the heat of the sun wasn't cooperating much too. I tried to hold on to one of the rocks while I was walking but my hands felt the heat and it wasn't very awesome. Hahaha! However, the view was, again, ALL WORTH IT. Nakakilang bakasyon kana bakla! ( May bitter ).... THis place remond me of mutya it seems like they have the same location. Any way I miss the beach na... sobrang sobra... I wish may kasunod pa ung Cebu namin and I can see you really enjoy it a lot. oh wow the view looks AMAZING, I would love to go there one day! !